The library is closed this week for testing. EOC testing will take place this week in the library. The library and the hallway outside of the library will be closed all week. If you are scheduled to test this week you will receive a reminder the day before you are to test. If you have a Ben Barber class on the day of your test, do not go there for your morning class. 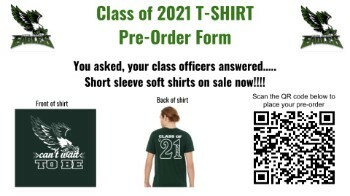 You need to come to Lake Ridge by 7:25 a.m. and report to the library. Are you a senior with at least a 2.5 GPA interested in Texas Wesleyan University? A rep will be here Thursday, December 6th to chat with interested students and offer you scholarships! If you are interested, email Mrs. Wann at ashleywann@misdmail.org for more information. Two Lake Ridge Choir members have advanced to the final round of All-State auditions. 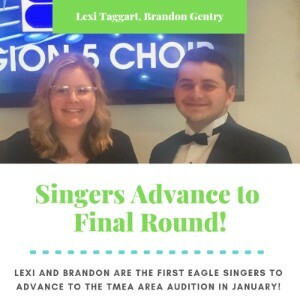 Congratulations to Lexi Taggart and Brandon Gentry! It isn't too late to join the Vietnamese Student Association, so join us this Friday at 3:00 p.m. in room A-226. We'll have eggrolls.